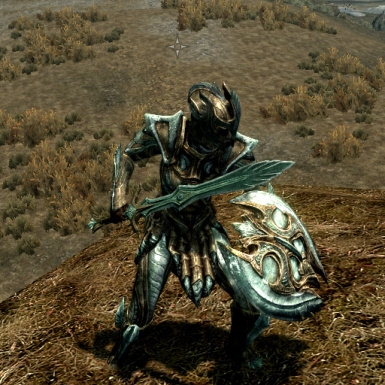 Lets you wield Vanilla 2 handed weapons in ether hand or both. 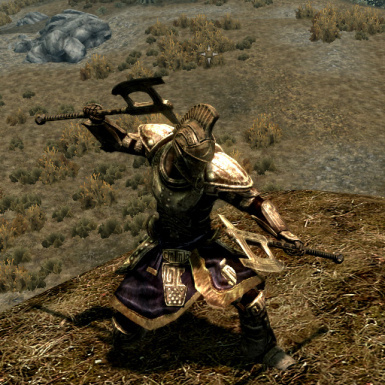 Ever want to swing around two handed weapons instead of those puny single handed ones, but hate being stuck with just one? Want to use a shield but those little swords and axes just don't cut the butter? Need to compensate for something? 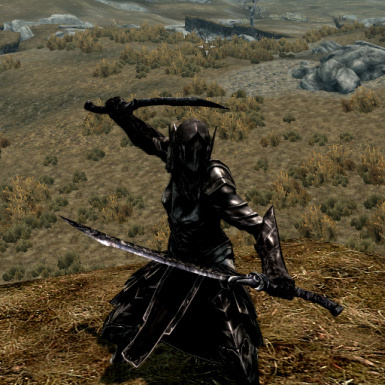 Your in luck, now you can use 2, yes TWO, of those badass 2 handed weapons at once. Or a shield and a 2 handed at once (if your into that sort of thing). 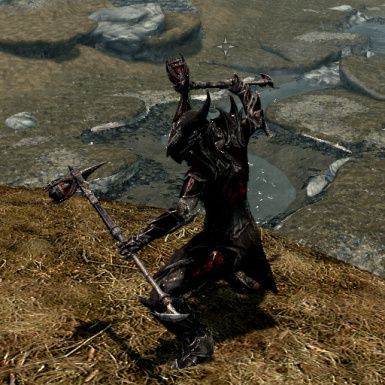 This mod changes the mesh file of vanilla weapons, any other mod that changes weapon mesh may not be compatible with this. Please tell me if there are any other weapons or bugs that are not listed, this is a very early build of this mod. -Dual Flurry effects dual wielding 2 hands, I consider this a bug and looking to fix it.